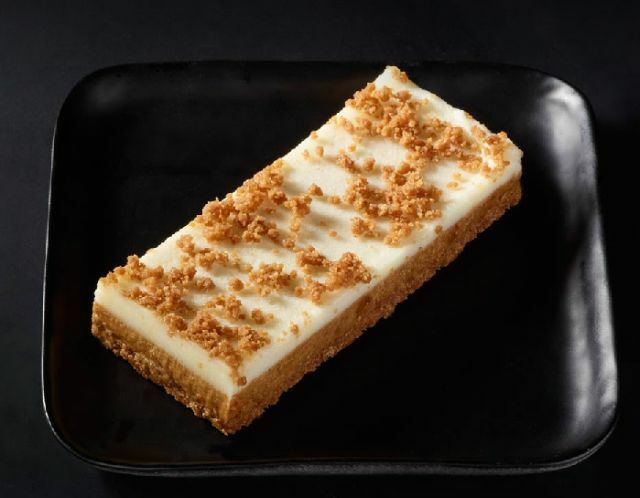 The newest item to grace Starbucks' bakery display is the Cookie Butter Bar showcasing various forms of spiced speculoos cookies. Specifically, the new dessert features a crust of crumbled speculoos cookies, topped with a layer of crunchy cookie butter (also made with speculoos), vanilla icing, and crushed speculoos cookies. The Cookie Butter Bar goes for $ 2.75 a pop.